Synopsis: “THE LADY is the extraordinary story of Aung San Suu Kyi and her husband, Michael Aris. It is also the epic story of the peaceful quest of the woman who is at the core of Burma’s democracy movement. Despite distance, long separations, and a dangerously hostile regime, their love endures until the very end. A story of devotion and human understanding set against a backdrop of political turmoil that continues today” (GSC Movies). Verdict: This is perhaps the kind of movie that everyone should be glad to support but why in the world, out of all directors, did they pick Luc Besson (Lockout) to do the job? Michelle Yeoh is perfect for the role of Aung San Suu Kyi and David Thewlis, too, did a decent job as the husband of The Lady. However, they failed to produce the emotional chemistry which is supposedly the film’s main intention. The movie also lacks of a patient build-up, a better written script, and decent acting from the other cast members. There are even scenes that are unintentionally silly. Both the writer, Rebecca Frayn, and the director are to be blamed without question. It’s just fortunate that the true story it’s based on still manages to barely shine through the disastrous production, making it relatively watchable at best. The cinematography is actually very good but with only Bangkok to use to replicate Burma, the limitations are obvious. Second opinion: “Inspiring and touching” (Iris Loong). Many things missed out: If the main purpose of the film is to portray the love between Aung San Suu Kyi and Dr. Michael Aris, why doesn’t it mention about how they both met? Although it succeeds in telling how much Aris gone through for her, it fails to display the struggles and loneliness of The Lady from her rise to her house arrests through out the years. Furthermore, the two important public speaking scenes were neither inspiring nor moving. English in Myanmar? No idea why in some scenes a Burmese would speak to another Burmese in English as though it’s one of their main languages. Malaysians can relate: Peaceful demonstrators being attacked and arrested, authorities playing dirty tactics to avoid the lost of ruling power, opposition party’s leader being accused to be imprisoned – oh, I’m sure we can relate to all that. If this film was released before Bersih 3.0, it would have definitely affected the number of attendees. 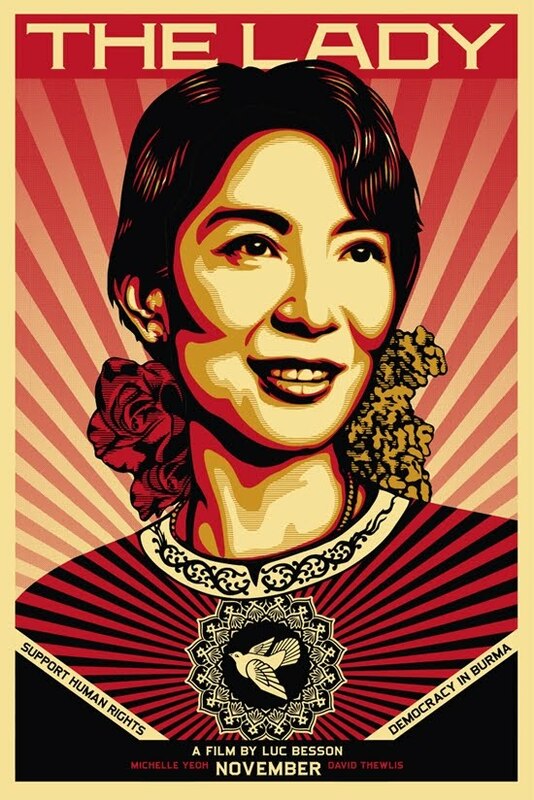 And coincidentally, Michelle Yeoh is a Malaysian and a Dato’ as well. This looks like an interesting show to me. I hope to be able to catch it to judge for myself. We have an activity : "10 Food Reviews to Win 2 Movie Tickets" at 8 May – 2 Jun 2012! Only 2/5? I am expecting better. Har? not that good?? been hearing some said it's very nice. =/ too bad eh.